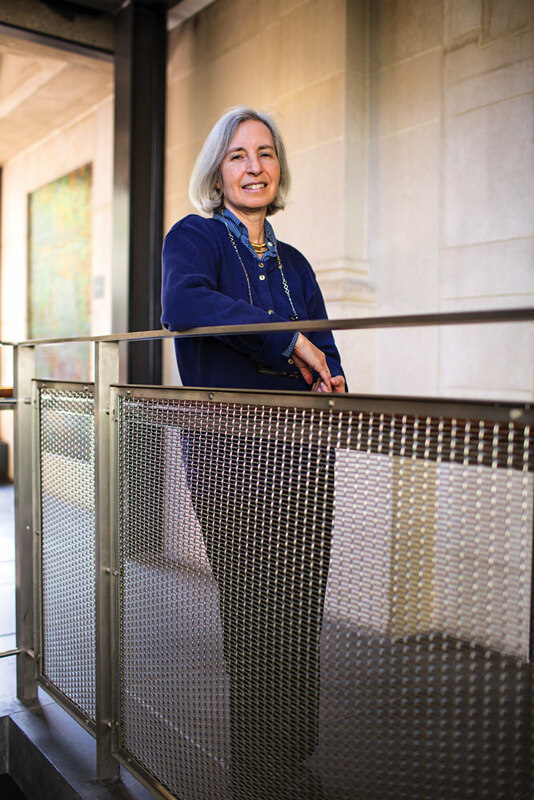 Carter professor of general jurisprudence Martha Minow, who served as dean of Harvard Law School from 2009 through last June (as analyzed by legal journalist Lincoln Caplan), has been appointed 300th Anniversary University Professor effective July 1. She assumes the chair held by historian Laurel Thatcher Ulrich, who retires on June 30, and earlier by president emeritus Derek C. Bok. University Professorships are Harvard’s highest academic title; the recipients are recognized for superb scholarship crossing disciplinary boundaries, and are entitled to teach and pursue research in any Harvard school. Minow, who is known as an expert on human rights, is the author of many works, including Between Vengeance and Forgiveness: Facing History after Genocide and Mass Violence, on the social response to mass violence, and Making All the Difference: Inclusion, Exclusion, and American Law, on legal treatment of differences in race, gender, and other parameters. Read her law school biography here. A member of the Harvard Law faculty since 1981, Minow is vice chair of the Legal Service Corporation (covered in this Harvard Magazine feature), and has been a senior fellow of Harvard’s Society of Fellows, a member of the Harvard University Press Board of Syndics, and a senior fellow and acting director of what is now Harvard’s Safra Foundation Center on Ethics. It is an honor to teach and study at this extraordinary University, as it was to serve as dean of the Law School under President Faust's outstanding leadership. And now, this recognition moves me to work even harder to try to advance justice with every possible tool. This new appointment provides energizing encouragement as I return to the classroom after a wondrous, boundary-crossing year with generous colleagues at the Radcliffe Institute. I am particularly humbled to follow Laurel Ulrich and Derek Bok, whose works exemplify imagination, rigor, and conscience. I will work hard to be worthy of the great traditions and aspirations of Harvard and the project of using reason to advance understanding, opportunity, fairness, and peace.